Book Donation Day is marked in Armenia today. 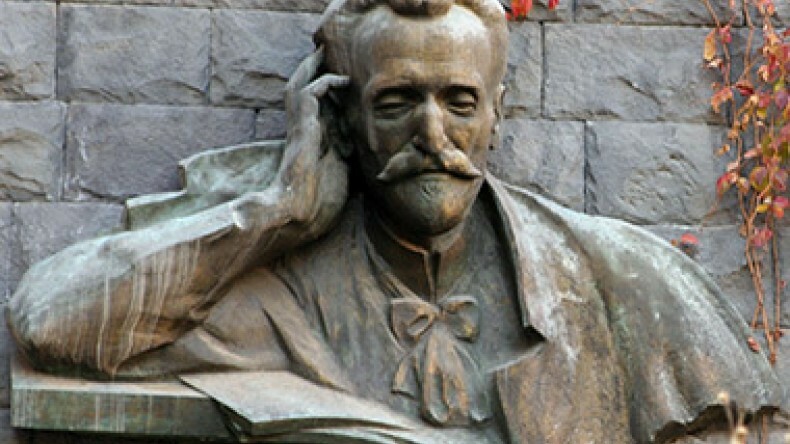 This date was chosen because it marks the birthday of great Armenian writer, poet and public figure Hovhannes Tumanyan. Hovhannes Tumanyan (February 19, 1869 – March 23, 1923) is considered to be the national poet of Armenia. Tumanyan wrote poems, quatrains, ballads, novels, fables, critical and journalistic articles. His work was mostly written in realistic form, often centering on everyday life of his time. Born in the historical village of Dsegh in the Lori region, at a young age Tumanyan moved to Tiflis, which was the center of Armenian culture under the Russian Empire during the 19th and early 20th centuries. He soon became known to the wide Armenian society for his simple but very poetic works. Many films and animated films have been adapted from Tumanyan's works. Two operas, Anush (1912) by Armen Tigranian and Almast (1930) by Alexander Spendiaryan, were written based on his works. Book Donation Day has been marked since 2008 on the initiative of the Armenian government and President of Armenian Writers’ Union Levon Ananyan.